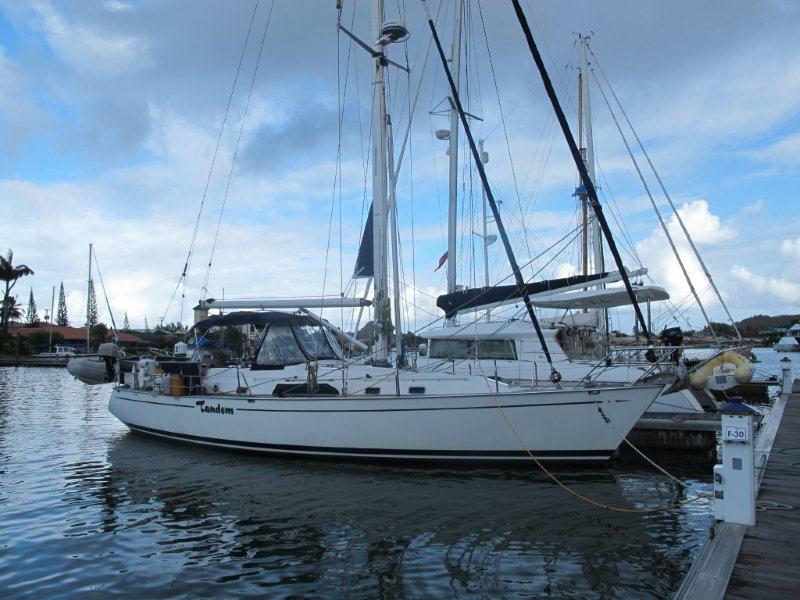 TANDEM a 48' Tayana Center Cockpit 1993 is now asking $229,000. Many Tayana owners, including Tandem’s, have successfully completed circumnavigations. Tandem finished her trip in March 2013 in Ft Lauderdale, FL. For sailors considering extended passagemaking and liveaboard, the owner has invested in many improvements that will be of great benefit to the next owner. A few years ago a new teak deck was installed in Turkey. In 2006/2007 the mast and all the running and standing rigging and sails were replaced in New Zealand. Ultrasuede fabrics for the main salon; 12 volt Waeco back up refrigeration and new bottom barrier coat applied the same year. Contact David Walters for details (954) 527-0664 or (954) 328-2130.